With ALM Transcription, L.L.C., our top-quality educational transcription, academic transcription, and instructional transcription services meets or exceeds our customers’ expectations. Our clients include students, professors, instructions, business and corporate trainers, university researchers and innumerable educational departments. ALM Transcription, L.L.C. performs the very best in interview transcribing, conferences transcription, lectures transcripts, speeches – essentially transcription of any recorded words. We eagerly transcribe interviews and focus groups work in a wide range of fields. We understand how critical it is to capture every word in order for the information to remain in its proper context. We know that a missed word or misplaced punctuation mark can dramatically change the meaning of a sentence, a topic, even an entire speech. We also know that for many people who are diligent in the ways of study, the reading the written word is far more favorable to retention of information that sitting in front of a computer screen watching and listening to a video. Having the ability to highlight and/or take notes directly from a transcript reinforces the lessons in the student’s mind and further enhances their ability to succeed. When the need arises for you or your organization for high-quality educational transcripts, instructional transcripts, or other academic transcripts that are perfectly accurate, delivered responsibly, a call to ALM Transcription, L.L.C. is the right first step. We are confident that our work will lead to many more steps and we will be the go-to organization for all of your transcription needs. 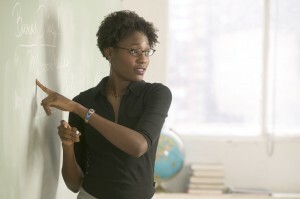 Let us help you reduce costs, save time, and focus your efforts on the critical work; teaching, research, and writing. We welcome the opportunity to be a part of your team and strive to be the only educational transcription and academic transcription organization that you’ll need to call when you need fast, accurate, and cost-effective transcripts.